I was doing my usual stock hunt the other weekend at a house clearance when I happened upon a huge skip bag full of plush. Nothing exciting until I found Sad Sam's Girlfriend Honey - she's huge! She felt solid, so I had a quick peek inside the zip and spotted some real gems. I paid and took her home for a good wash. The contents were better than I was expecting - vintage 1980s tee shirts. Two of them Snoopy. My favourite! The idea is to get each of your child's teachers (i'm starting with Emmett's nursery ladies) to write a little message in the pages of the book. Each year, you add each teacher in secret and then present the book as a surprise when they finish school or graduate. I'm sure keeping it a surprise will be trickier as he gets older, but I'm going to try my best. Emmett starts school in September. It's bitter sweet as I will miss having him around everyday, but he's so smart and so ready for school it feels right. I know he's going to love it. We were also one of the lucky families that got our first choice school. I'm so excited. How about you? Do you have new financial year goals or resolutions? This was my most recent eye popping find. Last year I happened upon a house clearance sale disposing of a whole lifetime of collecting. The other dealers were most interested in the huge piles of Christmas collectibles and handbags, but for me it was the Disney. The family had obviously been huge fans and were regular visitors of all the American theme parks during the 1980s and early 1990s but what was most exciting for me was the condition. Everything was in it's original carrier bags and there were multiples of everything - not just one keyring but 20 all in a carrier bag...not just one coin purse, but 12 in a carrier bag. Like I said, EYE POPPING. Some of the best items were from this great print range by Australian artist Ken Done. After again making a huge pile of awesomeness came the most exciting news - there was more! I'd been pleasant with the sellers and struck up a conversation. It turned out it had been a huge house - they had another two lorry loads at least from the same collection. Over the next two weeks I proceeded to get two more car loads of stock from them. I love it with my job that I never really know what I'm going to find next. 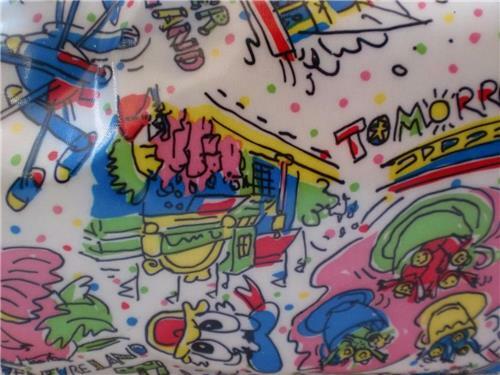 I'm going to put that original 1985 carrier bag in a frame to remember just how great a find this collection was. When I hear that thud every month of my Lucky Dip Club box coming through my letter box, I go and grab it straight away. I put it up safe away from the sticky fingers of Emmett and Rudie and I save it for a quiet moment with a cup of coffee so I can have a nice long look at everything in peace and quiet. Here we are for part 2 of my best ever hauls of stock for Pica Pica Vintage. This time I was at a carboot sale outside my local area. I'm terrible - I can't drive past a jumble sale, car boot sale or charity shop without stopping for a little peep. I was visiting my Mum in Sussex in 2011. I was already quite satisfied with my finds so far at the sale until I caught a glimpse of all those pony tails all jumbled up in a box together. I abandoned my route up and down the rows and ran over worried that someone else might have spotted what I'd seen. Without digging in the box too deeply, I asked the price for the whole lot. I could have cried. They were all mine. 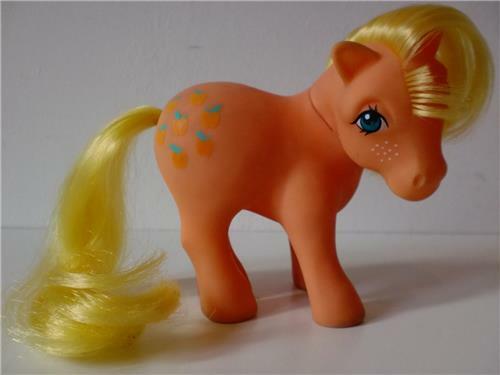 I'd just bought nearly 200 vintage My Little Ponies. They were all in good condition, and luckily only in need of a little TLC to get them ready for my customers. I really wish I'd taken pictures of them all lined up drying in the garden in the sunshine. 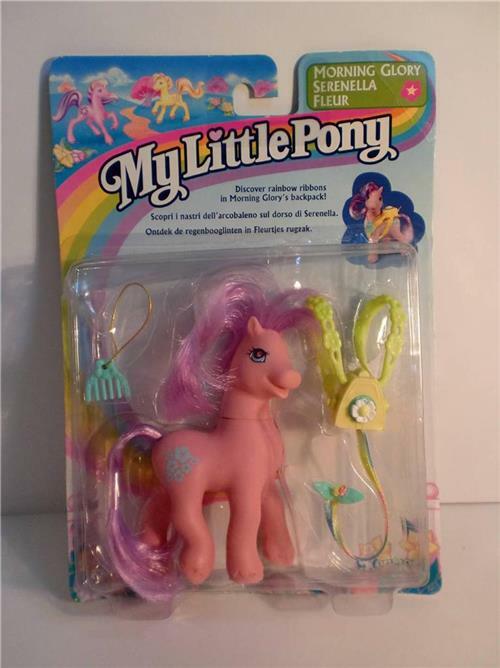 It was of my most lucarative collections I've ever bought as there were some real gems including rare accessories and Europe and UK exclusive ponies. All of my collectors were really pleased. By the time I'd finished sorting everything out I even found some ponies were complete with all their original accesories. I still sometimes dream about that find. Do you have something missing from your collection? Just send us an email vic(at)picapicavintage.com and we'll do our best to help! This is by far the most popular line with collectors. For pure nostalgia and style they are great. There is literally something for everyone with the original Earth Pony line, the Big Brother clydesdale ponies to the clear glitter ponies. Prices start at around £6 for one in good condition, but you can expect to pay over £100 for international exclusives and variations. How can a toy line get it so wrong? This version was a disaster with hardly any commercial success in the USA and discontinued there in less than a year after launch. Their strange skinny bodies and hippo like faces had none of the charm or cuteness of the original line. 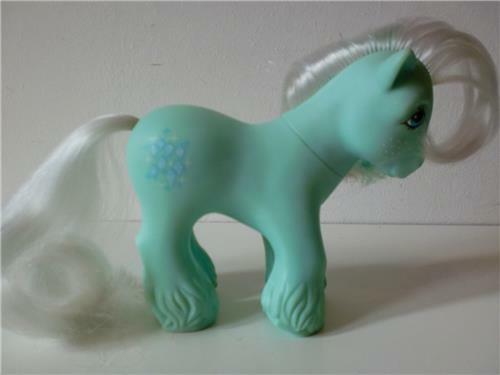 You can pick up G2 mint in pack ponies for less than £10. 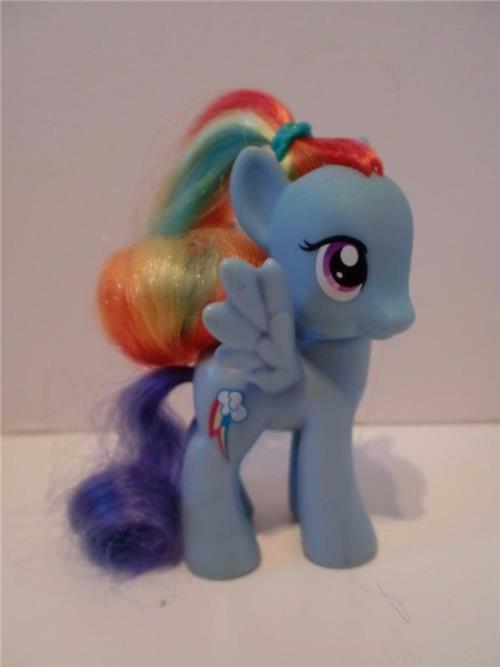 However due to their unpopularity some of the later play sets and ponies are still quite valuable due to their rarity! After a pony hiatus, they were back. They'd learnt their lesson and came back with a chunkier pony with lots more in common with G1. This generation was targeted to a younger age group, so everything was more solid and less fiddly with no small pieces and less accessories. This was the first line that the artists really got into - there are some great customised ponies in this generation. The value in this generation is in the charity exclusive and convention exclusive ponies. For new or younger collectors this is a really great place to start. They can be picked up extremely cheaply with prices starting at as low as 50p a pony online if you buy job lots. Lauren Faust took the reigns for the cartoon series for this generation. With a pedigree in Powerpuff Girls, it's easy to see the parallels. 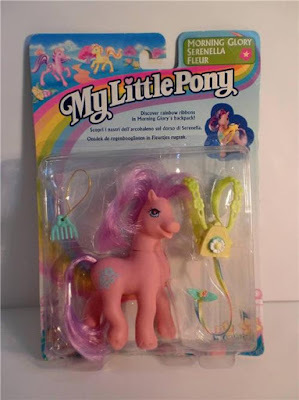 This series has pulled My Little Ponies back in front of a brand new audience and for the first time has really encouraged the new wave of male collectors, even coining the Bronie title for the once neglected male fans. The toys are super cute and already a big hit with collectors. Keen eyes will already see play sets and ponies in store exclusive deals in Argos and ToysRUs. The mold for these guys is smaller than it's been before with a more Japanese / Kawaii cutesy style. With values already creeping up I can see this as a good bet for a future collectible. Thank you, lovely customers ;-D Here's to many more happy collectors! I've got a great nose for a bargain and I've really tried to fine tune my eye to spot the best vintage toys for my customers. I've been running Pica Pica Vintage for 6 years now (with two bouts of maternity leave thrown in for good measure) but I've actually been thrifting ever since I can remember (sheesh - over 25 years?!) I was THAT contrary child who didn't like 1980s neon pink Barbie dolls. I spent my childhood searching out 1960s and 1970s Sindy dolls as i preferred their more realistic clothes and furniture. They had brunette hair that was more like my own. Maybe this was where my love affair with vintage began? Anyway, here is part 1 of some of my all time favourite finds of the past 6 years. Isn't it a bummer we only think to take more pictures now? I really wish I'd have had the thought to take pictures at the time. Ones early morning I was feeling down heartened to have only found some 1980s McDonalds toys - still good for my inventory, but nothing to get too over excited about. Suddenly I spotted the corner of a box. 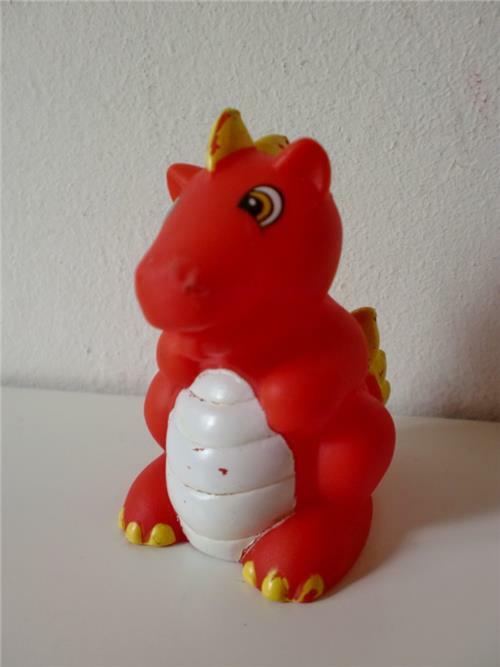 Straight away it was the bright blue and red of vintage Fisher Price. 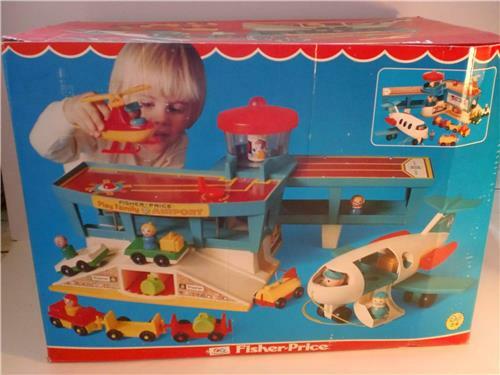 Soon I amassed a huge pile including the Fisher Price record player mint in box along with several other sets including the airport which I was really pleased with. I had a word with the stall holder and asked if it was ok to start a pile. I always find this polite and also showing that kind of courtesy will show you're a serious buyer and could even mean you get first dibs on things that haven't been unpacked yet. This haul made me take a trip to the cash point for more money and three trips back to the car with a trolley of toys. This collection turned out to all date from the 1970s / 1980s and had been looked after perfectly with most things never having been removed from their boxes. I used to collect (read: hoard!) a lot of vintage toys. The saddest thing about this though was that there were too many to even display properly, so they were all sat in boxes. This was part of the reason I founded Pica Pica Vintage as a way to thin out my collection. My biggest collection was vintage Fisher Price - the mid century style paper decals really speak to me and I have such a fondness for those Little People that fit just so perfectly into little hands in a way that they've never managed with subsequent attempts at replicating that original toy line. This year I've been more about really drilling down and thinking properly about how I want my home to look. I will say that the Marie Kondo book has definitely been an inspiration, but my friend really made me laugh in saying that by buying the book we'd just be cluttering up the house even more! Haha. All that being said, it has made me think and as a result I completely down sized my collection - only keeping one of each of the figures and listing everything else in the shop. I find this little group of guys much more pleasing to look at now and I honestly prefer the money in the bank rather than sat sadly in boxes in the loft. My name is Vic. I'm 34. I'm married to my best friend and we have two little boys, Emmett and Rudie. 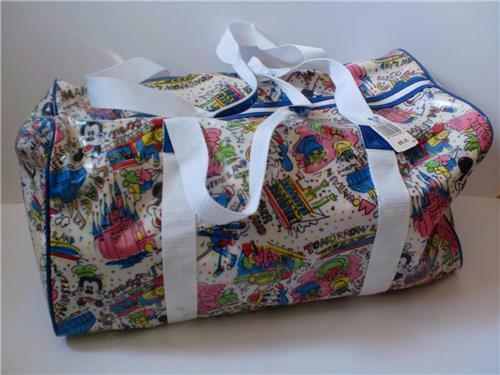 This is my blog and business Pica Pica Vintage. Here's 20 facts about me. However it is you've found my little corner of the internet, thanks for stopping by! 3) I didn't learn to drive until I was 29. I wish I'd learnt earlier. My first car was a vintage Mini. It was stolen and I've never seen it again. 4) The best place I've ever been to was Tokyo. In 2018 me and Alex will have been together longer than we've been apart. We hope to go again to celebrate. 5) I love Dr Pepper and Cherry Coke. I'd happily drink it everyday if it wasn't so bad for me. 6) In my previous career I owned Pink Kat and then Robot Shop mainly based in Camden. I studied fashion at LCF until I dropped out and started my business. 7) I still love Reeves and Mortimer. We're going to see them live again this month and I can't wait. 9) I've been a Lauren Laverne super fangirl since she was in Kenickie. Her BBC6 Radio show feels like she's playing from my own brain jukebox. I love her. 11) I love doing laundry and I'm deadly serious about how the dishwasher should be loaded. 14) I hate going to the hairdressers. I wear my hair in a bun everyday. One of the things that's made me take a bit of a personal hiatus from Facebook is just how amazing and supportive the Indie Business community is over on Instagram. I'm at home all day with my children when I'm not working and when I am working I have no colleagues. Being able to chat to like minded folk in the same boat is not only encouraging, but frankly, essential! 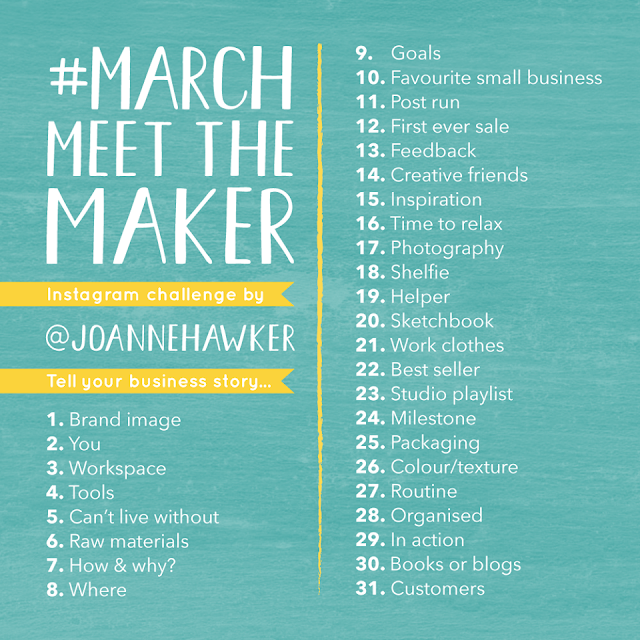 I was so happy when I found this list of daily photo prompts posted on a stream on Instagram - not only are the prompts very inspiring, but it's been a great way to meet new people and open up about the workings of my business and hopefully get me into a better routine of focusing my social media presence and growing my business. Essential items for me are a mini screwdriver set. everything battery operated must be tested first. I love Bic Biros for taking notes. Cute tape measure. If you're using something everyday, may as well be cute, right? Here's a brand new feature where we're going to be showcasing the amazing toy collections of our lovely customers. 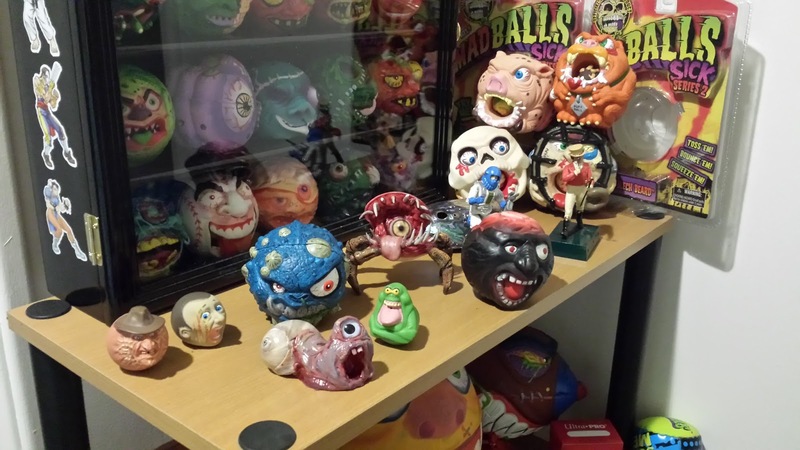 Madballs were launched by AmToy in the mid 1980s, part of the American Greetings group. Their gross out humour was on a par with Garbage Pail Kids, so of course children loved them and parents hated them. There was also a cartoon series and computer games based on the toys. During their lifetime people complained of injuries as a result of the hard materials used to manufacture the balls. They later changed to a softer foam. The distinction between these materials is important to most collectors. 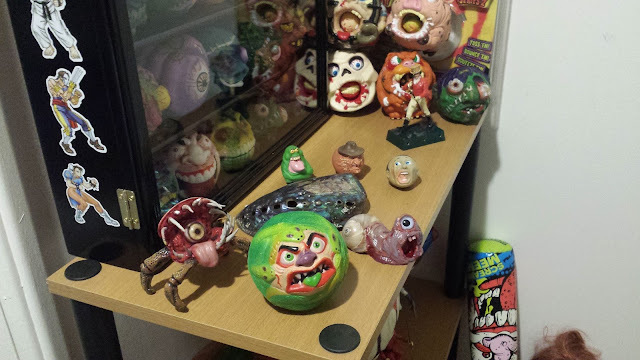 Madballs were my favourite toy as a kid in the eighties I revamped my obsession about 10 years ago and here we are, I used to have a lot of movie props/collectibles but now its just the toys. Favourite item in your collection and why? 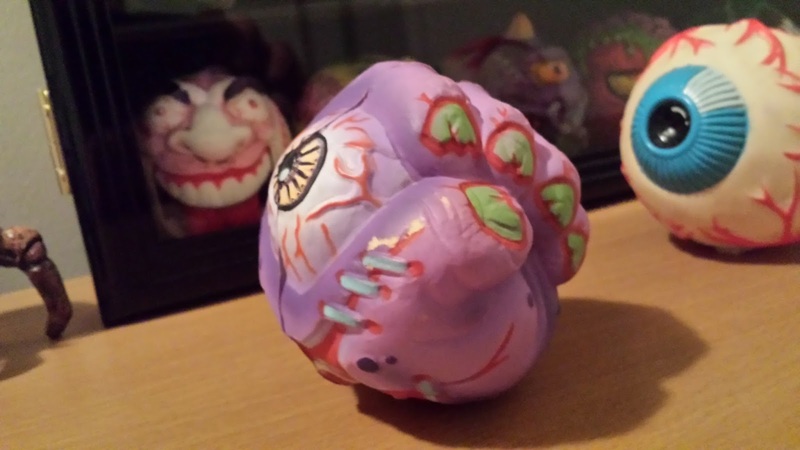 My favourite is Fist Face the purple foam 1985 Madball pictured. Latest addition and where you got it?My last toy was a while ago I think it was Snake bait loose also pictured. I find these treasures on ebay, esty or Parry's Game Preserve. 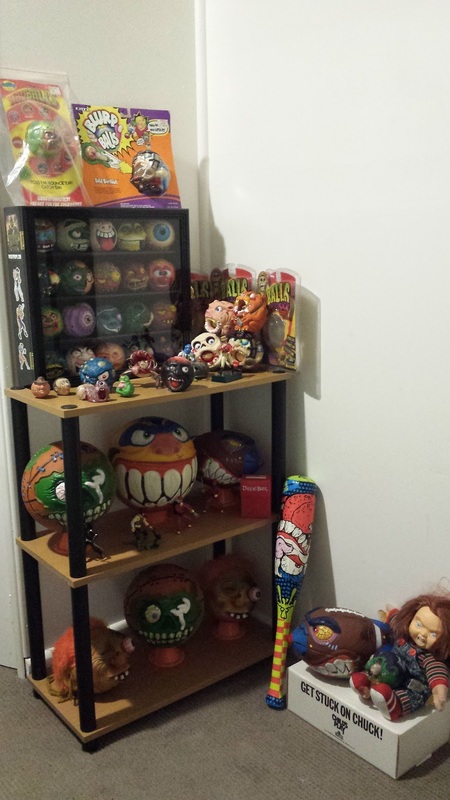 Something interesting or a fact about your collectionThere are foam balls and rubber ones most collectors try to get one or the other. I'm different I like both. I also love similar handmade items like my crab and my snail. Your holy grail item you dream of findingI would love to find another Splitting Headache Madball or another Screamin Meemie baseball bat these 2 items are super rare. I own 1 of each but id buy another if I saw one. Thanks Johnny. I especially love the display case that means they're all able to be on show. Such a great idea. If you are yet to come across the delight that is Lucky Dip Club, then you're in for a real treat. Leona explains it much better than me - but essentially it's a monthly surprise box through the post full of vintage and kitsch inspired treats showcasing the best new designers and Indie business'. There are lots of exciting changes for this year. Unfortunately the lovely twine that used to wrap around the outside has gone, but instead there are now really cute stickers to seal and decorate it. I hear that there will eventually be custom printed boxes in the future which sounds exciting. Also, the collectable charms that came in 2015's boxes are replaced with a new monthly enamel pin. Enamel pins are so popular right now, so this is a really nice addition to the box. Probably the most interesting change is the brand new exclusive Girl Planet mini magazine. All the features that used to be limited to just one fold out sheet now have space to breathe with lots of new articles and longer interviews with more pictures. If editior Zabby's colourful Instagram feed is anything to go by, I'm really interested to see each edition. Has this peaked your interest?? Thought so! Lets have a look inside this month's box. First thing, as always is the gorgeous attention to detail. I'm a really sucker for stationary and packaging. The colour coordinated tissue paper, envelopes and paper bags all sealed with stickers are a real treat to take your time opening. This month every item has been exclusively illustrated by Mel Stringer. She's not an artist I'd come across before, but that's one of the great things about Lucky Dip Club - it's like Leona knew we'd be totally into her! This month contains a super cute dry wipe 'Donut Forget' magnetic board and pen, donut necklace, an art print, embroidered patch and a donut sticker set. I think my favourite items are this months pin and the launch of the Girl Planet magazine. All in all I think it's really great value for money and I love supporting such an influential indie business. Most importantly I'm at a time in my life when basically the only thing that comes through my letterbox are dreary bills, so who can say no to a monthly box of sunshine? We were out shopping and Emmett found these at the counter. The little shopping basket series 3 came in were so cute. This was a while ago, before Shopkins became the biggest selling new toy line in the USA. A quick look on Instagram will show you queues round blocks for the release of series 4. I'm a big fan of anthropomorphic toys (basically anything inanimate with a face) Shopkins tick all the boxes for cute and the collectable factor is very addictive. I feel they are definitely going to be a collectable for the future. 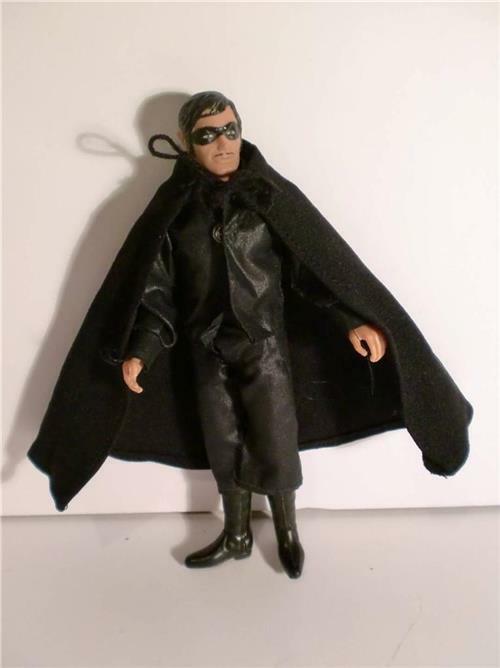 Already some of the rare figures command huge prices on ebay. Also, anything that promotes community with children is a good thing - there are various Shopkin swapping parties advertised online and I also really like the nod to the collectibles of the 1980's like bubblegum cards and Lil' Babies figures that you could trade with your friends. Series 4 is definitely the best series so far with the addition of super cute Petkins with animal faces. Also a first for this series are the Shoppies dolls. They're really cute too and have already been a big crossover hit with doll collectors. I think the prices are reasonable. The smallest set for this series has two random figures in blind bags in a stackable crate (the crate is available in white, pink and fuschia) This retails for around £2.49 in most shops. I think this was our favourite set as the stackable crates add a lot of play value. We bought the bigger pack so that we knew we'd get some of the Petkins. The paint job on the cabbage sold us too! I painted up this thimble shelf to display them in my office when we're not playing. Cute, huh? When you Shop Small, you're not just paying money to a company, you're putting money straight in our actual pocket. For me, you're paying towards our dinner. You're paying for that car repair that comes from nowhere and I have no idea how we're going to afford it. The relief in the beginning of small business when you hear that email ping on your phone in the supermarket and realise that someone has made an order that will pay for your shopping. Most importantly you're allowing me to have a job that allows me to be here everyday and look after my children at home. We try hard to add extras to your order that only an indie business can - a hand written note, maybe a flyer or postcard that we've designed ourselves (it hasn't come from our art department because we don't have one) We've packed your order while our babies nap in the next room. We picture that you'll love opening your parcel. The fact that you've chosen to persevere with our clunky website or slow payment processing - we love you for that and we're more grateful than you realise.